An entrepreneur wears many hats. All are necessary to get from point A (the idea) to point Z (the exit). My favorite hat is deal maker. However, getting a "done deal" is more complicated than one might think. Negotiate and agree to the principal terms. No one ever gets sued. Now, that's a done deal. A letter of intent can be helpful. Be careful with language here as it often ends up in the final agreement. If desire, you can start with a simple terms sheet (bulleted list of items -- not legalese) and forego an LOI (this is usually where a no-shop is thrown in). If it's an asset purchase or acquisition, the other party may ask that you not solicit or entertain offers from others while you're negotiating with them. There's nothing wrong with this but have them put up a non-refundable fee and make sure there's an expiration (e.g., 30 days). Be sure that whatever technical disclosure you make is covered by NDA and is commensurate (sounds lawyer-ish) with disclosure on the business side. Just because the other side asks for something, you do not need to provide them with the key to the city before you have discovered what that key is worth. Always have your known numbers fully in control and have your due diligence done concerning the other company before everything is disclosed. Make sure these are limited in scope to the "best of your knowledge and belief." For example, you can warrant that the product is an original work of authorship, or that you "know of no" infringement. You can't say that there is no infringement -- how would you know? What law governs the agreement and where disputes are settled? If they breach, however, the choice of venue should be yours (especially if you're the little guy). Many agreements are drafted such that they cannot be assigned without permission or permissions. Make certain that if whatever the agreement deals with is acquired by another party, the agreement can be transferred. You may find that it's easier for your attorney to draft the agreement than to fix the other sides' draft. Be careful with general terms & conditions. Sometimes the other side will hide little "gotchas" like earmarks in proposed legislation. If you find something completely one-sided (e.g., a “best efforts” clause from you to them but nothing from them back to you), turn it around and make it reciprocal (i.e., ask them for the same terms). If/then they balk -- as they most often do -- you can say, "what's good for the goose..." (an effective non-legal argument) to remove the objectionable provision altogether. If you can't do that, make it reasonable (e.g., "commercially reasonable efforts"). 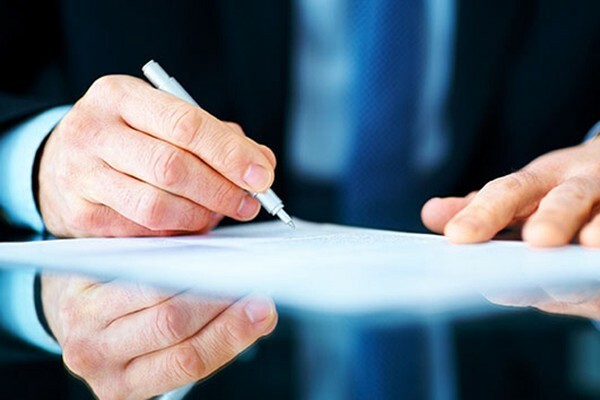 Carefully read every word of any agreement -- even if it's a simple NDA! Get a really good NDA, employment agreement, contractor agreement, etc. In these agreements keep everything unique to the relationship in an appendix (e.g., purpose, statement of work, excluded items). When you're acquired, the other party will want to see all of your agreements and will assign a risk factor to each item on that list. They will then use this information to drive down the purchase price. Again, review and have an absolute knowledge of your own business, "There's all sorts of liability here, blah, blah, blah." If you have used your form consistently, this will simplify the process and help avoid the price discount -- and it's much cleaner and more clear for you. Don't be dissuaded if you ask about part of an agreement and the other party/company says, "that's standard" or "no one else has ever said anything about that" (like it somehow excuses their language). If it's crap, it's crap -- and you should take the language or clause out of the document or change it. Always be prepared to walk away (depending on the severity of conditions). At the end of the day, the best agreements are those in which -- you sign -- they sign -- and neither party has to refer to this document ever again. This should always be your goal. Movie Quote: "Gentlemen, you can’t fight in here! This is the war room!" — Dr. Strangelove or How I Learned to Stop Worrying and Love the Bomb (1964). Serial entrepreneur with a track record of 5 successful startups, business strategy / execution and exits (5 for 5). Robert loves the daily grind and characterizes himself as a technology entrepreneur, family man, traveler, movie lover, and cyclist. He helps entrepreneurs avoid seemingly innocent mistakes that create obstacles to their exit. He is also known for the popular LinkedIn video series, what's #NotOnMyResume.